November is National Native American Heritage Month. Teaching students about the culture, traditions, music, art, and world views of indigenous peoples is important to celebrating our shared sense of humanity. 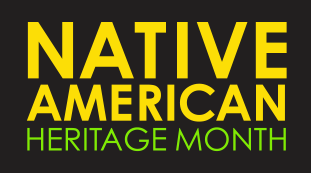 Celebrate this month with your students, and check out some of the Listenwise stories and other resources that could be helpful in bringing Native American Heritage Month to your classroom this month and throughout the year. Why do some people think Columbus Day should not be celebrated? How have Native Americans been impacted by population expansion in the United States? Is Redskins an Appropriate Mascot Name? Listen to this KRCC story: The Mountain West Brings Native Lessons To The Classroom. “Stolen Lives: The Indigenous Peoples of Canada and the Indian Residential Schools” is a teaching resource from Facing History & Ourselves that illuminates an important chapter in the history of colonial and indigenous peoples. Use these lessons, activities and videos from Share My Lesson to delve into first nations’ culture and heritage. Native Knowledge 360° promotes improvement of teaching and learning about American Indians. Please share with us in comments any other resources that you use to help promote understanding of indigenous peoples’ cultures, histories, and perspectives.